Chancellor's Blog: Thrill and delight at the magic of the Student Union! Thrill and delight at the magic of the Student Union! The UIS Student Union Campaign Kickoff was this afternoon on the campus quad and what an event it was!! 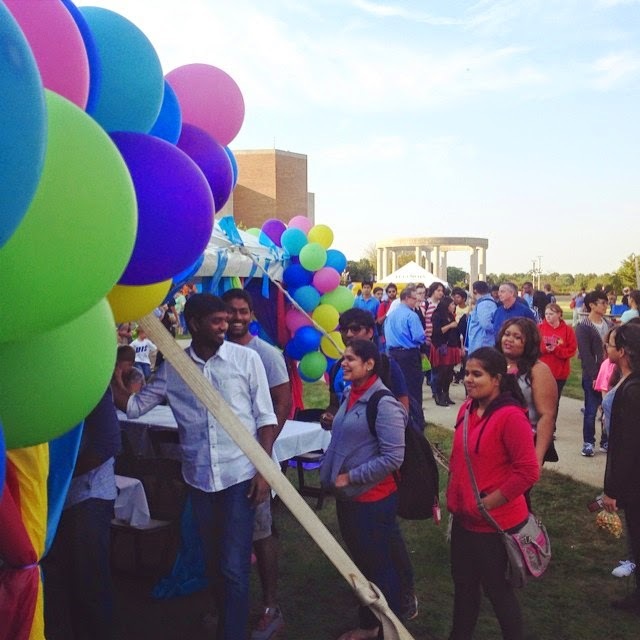 We had over 800 people from the campus and community join us for a carnival celebration with lots of games, free food (including my favorite health food – cotton candy), entertainment and various other forms of merriment. There was a rumor going around that the Chancellor was going to strap into the gyroscope; but I can assure you it was not true!! The high point of the event for me was announcing to the crowd that we have already received $2.4 million in gifts from lead donors for this critically important project for the UIS campus. Twenty-four months from now, we’ll have an even bigger party to cut the ribbon on the new building!! Can’t wait for that day!